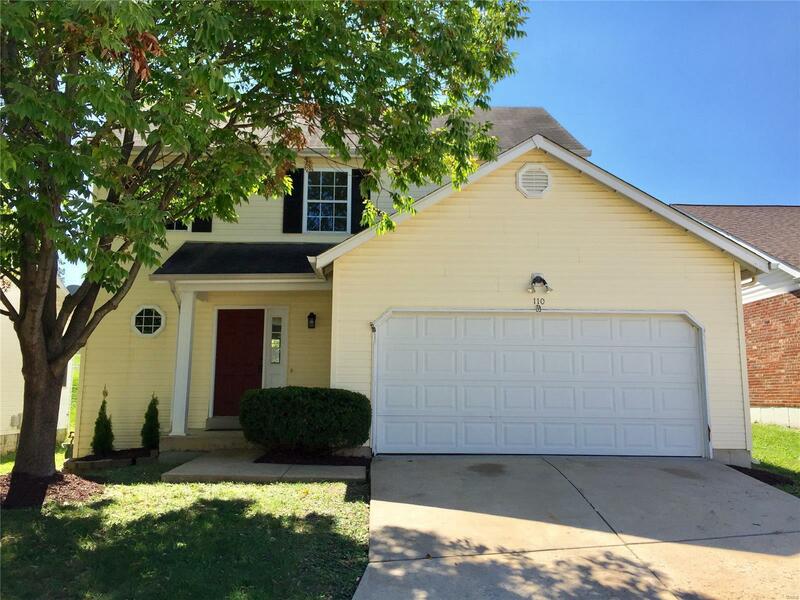 Don't miss out on this Lovely 3 Bedroom, 2 1/2 Bath home in Lake St. Louis! Enjoy LAKE RIGHTS and Timberland Schools! This 2 Story home has a Freshly Painted Interior and NEW Flooring throughout. Open Living Room and Kitchen combo and Kitchen features NEW Granite Countertops, NEW Stainless appliances, NEW Sink/Faucet, New Flooring and Pantry. The Kitchen walks out to brand New Patio and yard area for great BBQ's and Family Fun! Large Master Bedroom suite with Master bath including Double Sink, New Faucets and plenty of closet space. 2nd Full Bath upstairs with New Countertop, Faucets. All New Lighting throughout and plenty of Light and Bright Newer Windows. Full and clean basement. Two Car Garage. Don't forget the many LSL amenities including boating, swimming, Club Pool, Golf, Lakes & More. Close to Hwy's 40 and 70, Baseball Fields, Parks, Great Shopping, Restaurants & everything Lake St. Louis, 40 Corridor & Wentzville area has to offer! HURRY! !